The Legendary Giorgio Moroder Is Going on Tour for the First Time Ever! 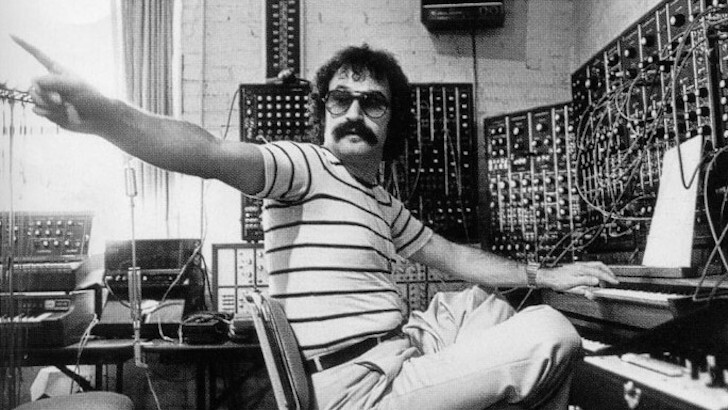 Giorgio Moroder is a legend. He’s produced all-time hits for everyone from Donna Summer to David Bowie, shaping the synth-driven sound of a generation in the process. He’s released fourteen albums of his own music. He’s won four Grammy’s, three Oscars and four Golden Globes (among countless other awards). He created a music studio that saw the likes of Queen, Iron Maiden, and Elton John laying down tracks within its walls. AllMusic once referred to him, quite rightly, as the ‘Father of Disco‘. He gifted the world with this. Suffice it to say, Giorgio Moroder‘s place in music history is safe, and at seventy-eight years of age, the man has certainly earned a break. Of course, one does not become a legend by taking breaks. The Guardian reports that Moroder will be playing synth, piano and singing, along with an assortment of other performers, including a digital Donna Summer projected on a screen, ‘performing in sync with Moroder and his band.’ Which is, you know, definitely weird, but I guess that’s the world we live in now. But it’s also a world where Giorgio Moroder is on tour! Here’s when and where you can see the legend! Tickets go on sale this Friday, October 12. In the meantime, catch up with Giorgio Moroder via Facebook, Instagram, YouTube, and his official website !